Discussion in 'Support' started by Lunari, Feb 12, 2019. Recently, whenever I use a single money object on my money lot, I am only paid $1 when I sell the story, the painting, the jams etc. However, the money shown is much more, like $191 or something around that range. When I first started the money lot I believed I got the right amount of money. Recently, I did add two more roommates and extended the land. Could this be the cause? Is this correct that I can't make money on a money lot I own? My roommates and visitors say they experience the same thing. I decided to change to skill lot then and I can't skill. Get 0%. I have no idea what to do other than to logout. haha. Going to go play sims 2. Will be watching this forum to see if someone can help me figure out this problem. Assuming this is you, you have skill gameplay disabled. This means that nobody can skill or earn money, but it also means your skills don't decay when on this lot. It can be handy for some lot types as well as parties. 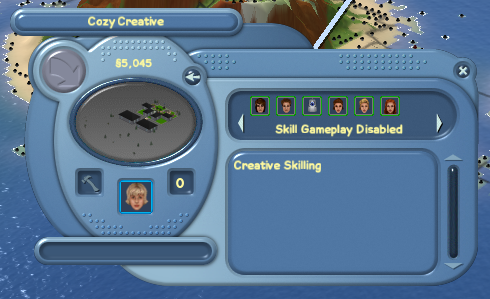 If you'd like to enable it again, with the lot closed, click the "Skill Gameplay Disabled" text and it will give you the option to enable it. Thank you! I started out with a service lot and I didn't realize I needed to change that setting when swapping over to a money lot. I didn't even know how to change it till you gave me directions. Thanks for the help. Appreciate it! Thank you for taking the time.